How Can I Get My Song on The Radio? This question is a deceptive one — it seems straightforward enough, and on the surface, there is a straightforward answer. To get your song played on the radio, either you or your radio promotion company approaches program directors/music directors at radio stations, promotes your song to them using a combination of press releases/one-sheets, phone calls and faxes, and then the stations that are interesting in the song will play it and the ones who won't. Sounds pretty easy, right? The truth is that radio promotion is anything but easy. 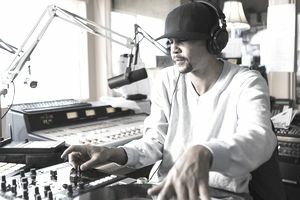 Getting onto radio is incredibly competitive, and when it comes to large commercial radio stations in major radio markets, getting on the playlist may be downright impossible for musicians outside of the major label system. That doesn't mean that some radio play is out of reach if you don't have a big budget and big movers and shakers behind your song. It does mean, however, that you need to understand a few things about the world of radio if you ever hope to turn the dial and hear your song coming out of the speakers. First things first — there are two kinds of radio: non-commercial radio (non-comm) and commercial radio. Non-commercial radio encompasses college radio, and community radio stations (including NPR stations) and commercial radio is everything else (in other words, the stations with lots of commercials). Non-commercial radio is the most likely starting place for an up and coming independent artist. College radio is very friendly to such artists, and community radio stations often are as well. Don't feel like getting plays on this kind of radio is somehow "less" than getting played on a commercial station. Some non-comm stations are hugely popular, and further, succeeding in the non-comm arena can lead commercial radio stations to take notice. After non-comm, independent artists often turn to small commercial radio stations. In this way, getting songs played on the radio is a bit like building blocks. You develop a foundation of plays on non-comm radio, which you use to build up to small commercial stations, which may, in turn, lead to play at medium stations and so on and so forth. However, it is important to note that there is more to the process of moving up the radio ladder than just getting plays at smaller stations. Radio stations want to see your entire music career progressing along with your radio plays. If you aren't touring, picking up more and bigger pieces of press and selling an increasing amount of music, then larger stations aren't going to play your song. Why? They judge your songs on their ability to increase their ratings by playing your music, not on the song quality itself. Showing bigger stations that your whole career is growing, show them that you're a good rating risk since you're probably on their audience's radar. Now, how do you run a radio campaign? You need at least four weeks in advance of your add date to run a decent campaign, and a few extra weeks may be in order if you're new to the game. During the start of your radio promotion push, you'll mail out promo CDs to all of the program directors of the stations that you're targeting. After that, you'll spend a week or so to confirm your packages were received, soliciting initial feedback and re-sending any promos that went MIA. The next few weeks will be spent soliciting feedback about the single while trying to get commitments from stations saying that they will be adding the single — or, indeed, that they won't be. All the while, you'll be updating the program director with news about the musicians relevant to that market — shows, sales and so on. At this stage, you may also place ads in radio trade publication announcing the single and that you're going for adds — especially if you're going for plays in larger markets. During the last week of the campaign, you'll do a final push for adds and then wait for the results to come in. That's a short rendition of the process, but that's it in a nutshell — and that's the same process used to promote to non-commercial radio up to the top major station in a large market. The bottom line? The best way to get your song on the radio is to approach the radio stations that are appropriate for your stage of career. If you're just trying to break into radio, focus on the non-comms and take it from there. Some artists never get played anywhere but college radio and thrive in their music careers. Build a realistic, easily managed radio campaign, and you'll start to see success on the airwaves.